Ronin Round Table: 15 Years of Green Ronin! If you asked me where I was 15 years ago on a given day, I’d mostly likely tell you I had no idea. July 13, 2000 though, I know exactly where I was and what I was doing. I was in Columbus, OH for the first day of the Origins Game Fair. I was there to work for my then employer, Wizards of the Coast. I had also started my own company on the side a few months earlier, however, and the printer was supposed to ship our first book to Columbus to debut at the show. I remember when the boxes showed up on the exhibit hall floor. I sliced one open to reveal the very first book Green Ronin ever published: Ork! The Roleplaying Game. 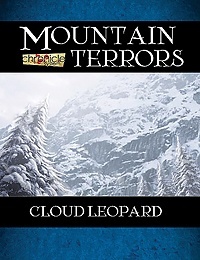 Many people think our first book was Death in Freeport and it’s an easy mistake to make. 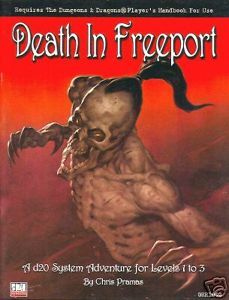 Death in Freeport debuted one month later at GenCon, 2000. It was at ground zero of the d20 explosion and put us on the RPG map. Ork was first though. It was a beer and pretzels RPG that I had designed with my friend “Crazy” Todd Miller. It came out of a memorable campaign that Todd had run back in New York City and I thought its light hearted approach to murder and mayhem might appeal to gamers looking to take a break from more serious games. When I founded Green Ronin, I thought I’d publish Ork! and Death in Freeport and then see how things looked. At the time the company was just a side project that Nicole Lindroos and Hal Mangold agreed to help me out with. I couldn’t have guessed that the three of us would form a partnership and that we’d still be in business 15 years later, or that the company would carve out an important place in the history of roleplaying games for itself. Hell, I wasn’t sure it would last one year, never mind 15! I knew this anniversary was coming up. At our yearly summit last October I brought it up and said we should do something special to celebrate. A party at GenCon perhaps or at least a cake. Something! And the irony is that we’ve done nothing to mark this anniversary because we’ve been too busy this year! We had Freeport: The City of Adventure and the Dragon Age Core Rulebook to finish. We had Fantasy AGE and Titansgrave: The Ashes of Valkana to design. We had our first party card game, Love 2 Hate, to launch. And on top of all that, we had made a deal with my former employer, Wizards of the Coast, to work on some material for Dungeons & Dragons, 5th Edition. The good news is that we survived all that! Freeport came out a few months ago. The Titansgrave show on Geek & Sundry is in the middle of its run and introducing lots of new people to the fun of roleplaying games. Fantasy AGE and the Titansgrave adventure book are both at print and will debut at GenCon. Dragon Age and Love 2 Hate have spent too long printing but they too are about to release. Our Kickstarter for a new edition of the Blue Rose RPG is happening right now and going great. Out of the Abyss, the super adventure we designed for WotC, is coming out in September. 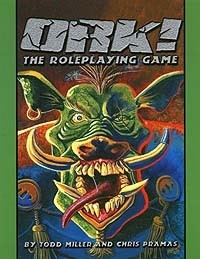 And we even have a new edition of Ork! In the works that will come out this fall. So while we may not get 5 gold and a party, we can at least look back on this year with a sense of accomplishment. We’ve come a long way in 15 years and that could not have happened without the hard work of a lot of people. First, I’d like to recognize all the Ronins who have worked on staff over the years. Thank you Heather Barnhorst, Pauline Benney, Bill Bodden, Joe Carriker, Will Hindmarch, Steve Kenson, Jon Leitheusser, Nicole Lindroos, Hal Mangold, Jack Norris, Jim Pinto, Donna Prior, Evan Sass, Marc Schmalz, Rob Schwalb, Owen K.C. Stephens, Jeff Tidball, and Barry Wilson. You are all awesome! Next I’d like to thank the many freelancers we’ve hired for projects big and small. Over the years we’ve worked with literally hundreds of writers, artists, editors, and cartographers who have made invaluable contributions to our games and books. We appreciate all your work and professionalism. I’d be remiss if I didn’t also thank our business partners. Big ups to Wil Wheaton and Geek & Sundry, the whole team at BioWare, George R.R. Martin, and DC Comics. Thanks too to Alliance Games, PSI, and all our friends in distribution and retail for getting our games out there to the public. Lastly, the biggest of thanks to all the gamers out there who have supported us. You’ve backed us for 15 years and we would not still be here without you. I hope our games have brought you some fun and happiness. And I hope you’ll stick with us as we sail into the future! 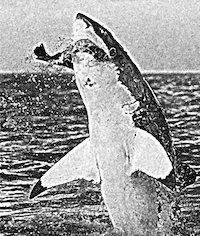 https://greenronin.com/wp-content/uploads/2015/07/ork.jpg 259 200 Chris Pramas //greenronin.com/wp-content/uploads/2017/07/RoninBanner-1.png Chris Pramas2015-07-13 13:09:132015-07-13 13:17:59Ronin Round Table: 15 Years of Green Ronin!